Essentially, some Missouri taxpayers may see a smaller refund or owe more on their 2018 tax bill than in previous years. Missouri’s bluebird license plates will be replaced within the next few years. The Missouri Department of Revenue will commemorate Missouri’s 200th anniversary of statehood with a new license plate design, which it says it will reissue no later than January 1, 2019. An advisory committee, made up of the Revenue Department director or someone the director designates to serve on it, the Highway Patrol superintendent, the Department of transportation director and the executive director of the State Historical Society among others, will choose the final plate design. Republican Sen. Kurt Schaefer continued his probe into Gov. Jay Nixon’s administration Friday regarding the controversy surrounding the Department of Revenue. 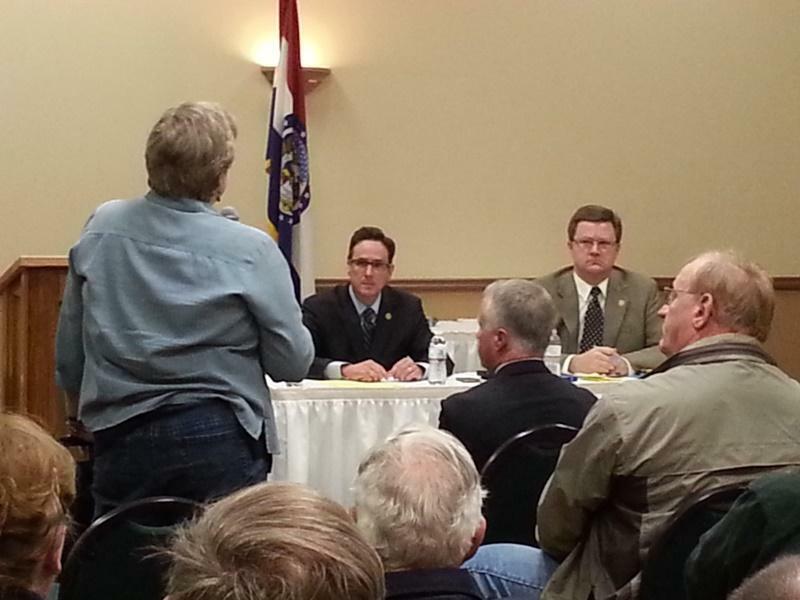 As KSMU’s Scott Harvey reports, the Senator conducted a public hearing in southwest Missouri. It was the second time this week Sen. Schaefer spoke before a Springfield audience, the first coming Monday just before Brian Long announced his resignation as DOR director.